enable C1E and speedstep. are you using offset voltage? CPU frequency and Vcore fluctuate depend on the work load, that's normal, offset or not, you can't control it once the speed stepping is enable. So... your CPU can easily take 80c without it being a problem, 55c is a rather nice temperature if you ask me. 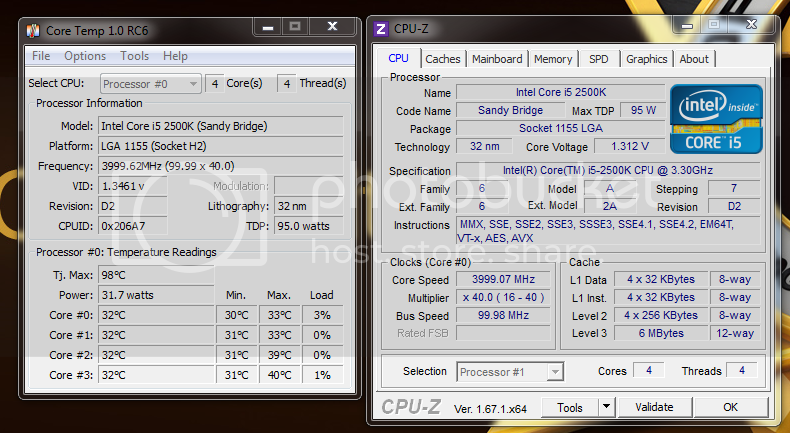 If I am correct, the CPU built-in "defense" against overheating is around 100-110c. If you get no errors, and those are the temps you hit I would call it a success. Temps look good to me. I would be happy with them as they are. The fact that it can now throttle down means that it will occur less usage, but still be able to ramp up when needed. Perfect. Off subject,................one of the things we do around here is ask that our members post their system specs in their user control panel. They'll show up under your avatar and we can refer to them when you have questions for the forum. Welcome to our site too. this is an old post from early last year. Dude hasnt been back since.